C/ Consell De Cent, 51-53 ( Esq. C/ Bejar ), 08014 Barcelona, Spain. 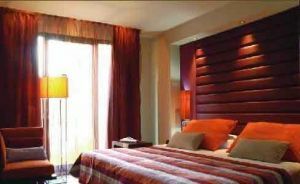 Hotel Vincci Arena is a modern and design hotel. It is located in the Sants-Montjuic district, a few metres away from the underground station of Plaza España (red line), in the oldest and most outstanding Fairs area of Barcelona. It is also one of the areas with the longest shopping tradition in the city, street of calle Creu Coberta (the old Carretera de Sants). It offers 84 rooms with TV LCD, phone and air-conditioning. Paid covered parking at the hotel (19.26 €). 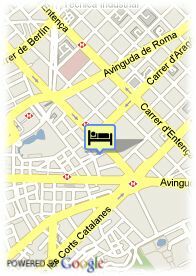 For older children and adults 48.15 € for each additional bed is charged.